I have a look into the October Play! By Sephora box. 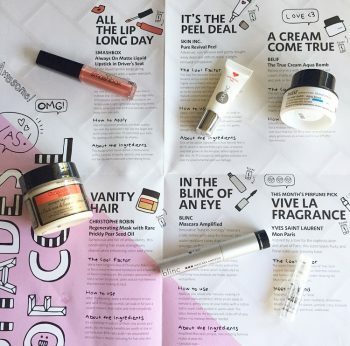 In case you don’t know, this is a monthly $10 curated subscription box featuring samples of different brands available at Sephora. The theme for this month is The Cool Cut, with products that truly stand out from the crowd and destined to become mainstream with breakthrough formulas. 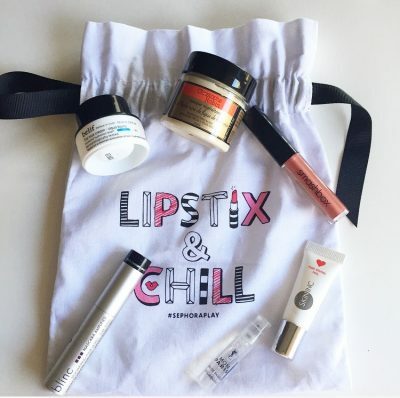 How cute is this Lipstix and Chill bag?! Let’s get into the rest of the contents! An advanced, non-abrasive peel that is supposed to gently exfoliate skin to reveal a bright and renewed complexion. The active ingredient is AC-11, which is derived from cat’s claw and helps gently exfoliate. As an esthetician, I have a different expectation for a peel. Personally, I didn’t see a difference with this at all and it actually left behind a sticky feel and residue. Not impressed at all. A conditioning hair mask that strengthens strands while enhancing color and shine. The unique ingredient in this is prickly pear oil that comes from the seeds and contains over 80% fatty acids that provides an unparalleled amount of deep nurturing oils to hair. This mask it quite thick and has an interesting smell. When I used this mask, I found that it did leave hair shiny but it didn’t have a conditioning effect as I assumed it would. It does not state that it’s supposed to condition hair so it’s best to mix in your own conditioner with this mask to get knots out. This matte liquid lipstick claims to last 8 hours and have a water-resistant, non-feathering formula. Jojoba, apricot and sunflower oils are included to provide a non-drying finish. The shade I received was Driver’s Seat which is described as a warm pink however I kind of find it to be a terracotta-red type shade. The shade is gorgeous and it is highly pigmented. This does come off when drinking and eating food and I do find this formula drying to lips. 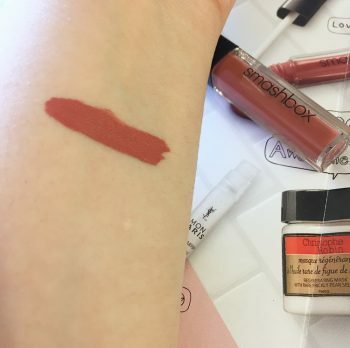 If you’re looking for a true matte liquid lipstick, then definitely check this one out. 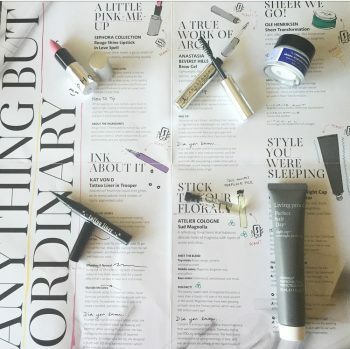 What makes this mascara special is the innovative “tube technology” that coats lashes with easy-to-remove, tiny water-resistant tubes that won’t run, smudge or flake. 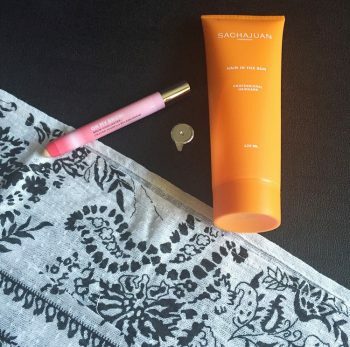 Removing this mascara is simple as you only need warm water and a cotton round or ball to remove. I’ve used this mascara before as part of my simple makeup routine and I love it for a natural look. I find that it doesn’t provide much volume though. This South Korean skincare brand is made with Scottish botanicals and based on the research of Duncan Napier, a Victorian botanist from Edinburgh. This lightweight gel-cream is meant to tighten the look of skin and sink in for a smooth, supple feel. It can also be used as a mask and tissued off after 5 minutes. I love the feel of this cream and it does feel very lightweight and refreshing when applied. However, I did notice that as I was using this, my face started to breakout. I’ve discontinued use and will try again to see if this was the source of my breakouts. Inspired by a love for the sophistication and allure of Paris, this scent layers fruity and floral notes over a musky base. It contains notes of bergamot, pear, raspberry jasmine, musk and patchouli. My sense of smell hasn’t been the best so I haven’t tried this one yet but I will update this once I’ve had a chance to give it a fair try. Overall, I’m happy with this month’s box and look forward to receiving November’s. Play! 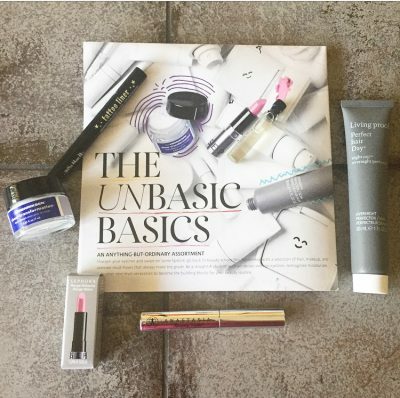 By Sephora Unboxing August 2016! I’m bringing you a review for the August Play! 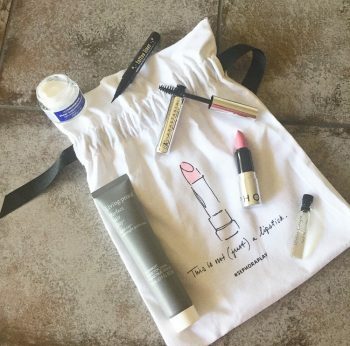 By Sephora, which is a monthly $10 curated subscription box featuring samples of different brands available at Sephora. 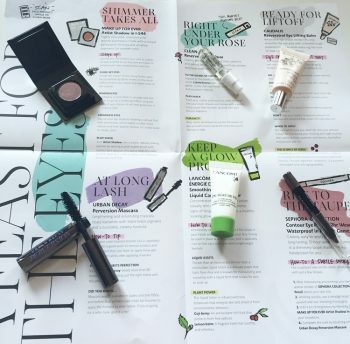 The theme for this month is The Eye Openers, with products meant to refresh and recharge your beauty routine. A classic yet edgy bouquet of rose, jasmine and peony with a sandalwood base that is supposed to evoke feminine sophistication and allure. I typically love rose scents but this smells awful. Definitely not my type of perfume at all. Doesn’t help that it has a combination of peony and jasmine, which is way too overwhelming for my taste. 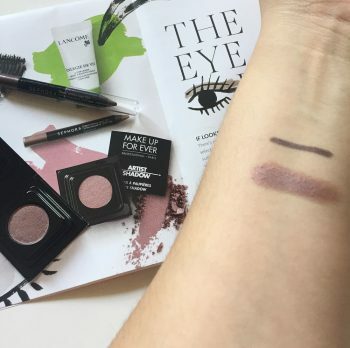 An eyeshadow described as a, “highly saturated, iridescent pink granite eyeshadow made with a unique gel-powder formula and ultrafine pigments for smooth color.” I like this shadow and the fact that you can create a smokey effect that’s subtle and pretty. It shows up kind of purple on me but it can be sheered out or built up to more intensity. An easy-to-apply pencil that has a 12-hour waterproof formula in a shimmery taupe shade. So confession, I have been wearing this as eyeliner only. I confused this with eyeliner but it’s actually supposed to be used on the contour of your eye. Whoops. 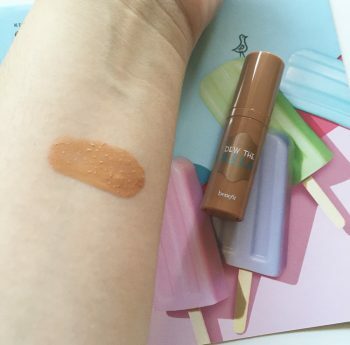 No worries though, it works just as well as an eyeliner and the taupe shade is a perfect enhancing shade that gives definition without a stark harshness. It lasts all day yet by the end of the day, it has smeared a bit. I doubt it would hold up for 12hrs without a primer on my oily lids. The Make Up For Ever shadow and this are great shades for transitioning into the fall season. 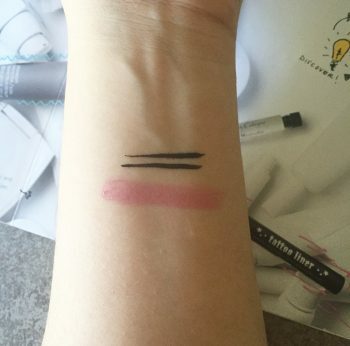 Swatches below: Sephora Contour Eye Pencil (top) and MUFE Artist Shadow (bottom). A lengthening and volumizing mascara that has a triple-black pigment formula to coat lashes. I like this mascara as it makes my lashes look thicker and the pigment is intense. However, just like the Perversion eyeliner, the formula does make my eyes water and sort of burn by the end of the day. Because of this, I won’t be purchasing the full size. This eye cream is said to lift and smooth the eye area with a breakthrough patented formula while reducing the look of dark circles and puffiness. This eye cream does have a brightening effect on me- like a very muted opal iridescence. It works well under makeup and doesn’t irritate my eyes. Will definitely keep this on my wishlist. A concentrated energizing liquid lotion that visually relieves dullness, diminishes signs of fatigue, and promotes a healthy-looking glow. I haven’t tried this one yet because my skin has been acting up and I’ve been keeping my skin care routine simple until I’m back to normal. Since I liked about 4 of the six products included here, I’d say this was a good box overall. Curious to see what next month holds. Any particular favorites that you see here? Let me know in the comments below! PopSugar Must Have Box Unboxing July 2016! 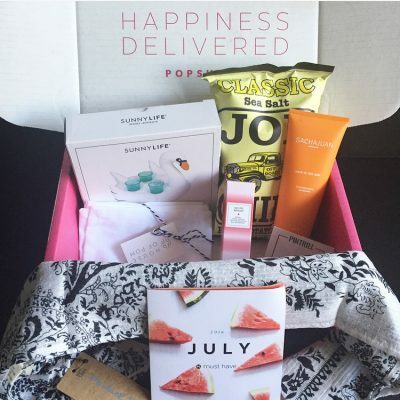 PopSugar Must Have subscription box is in! 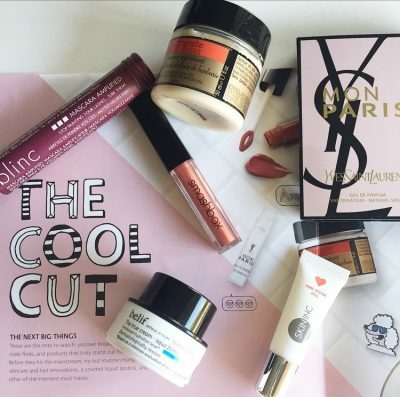 For those who don’t know, PopSugar Must Have Box is a monthly box that includes items that range from fashion, beauty, home, fitness and food, making it a well rounded subscription box. All items are full size and valued at over $100. This box is$39.95 per month while the new PopSugar mini box is $18.95. 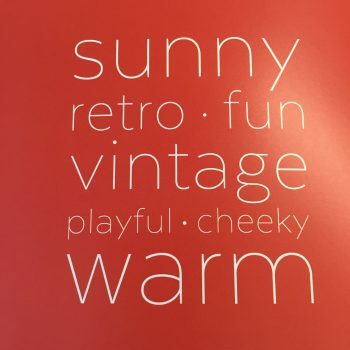 The themes and inspiration for this month’s box. A UV hair protector for the hair, this will protect your strands from damaging UV rays, keeping your hair color vibrant that will stay on until you shampoo your hair. I used this a few times but I haven’t really been out in the sun to see how it fully works. It smells nice though and seems to make my stands softer. This highlighting illuminator is multifaceted. Use it to lift brows by blending it along your brow bone, widen eyes by applying it on your inner corners, add glow to your cheekbones or add a romantic touch to your lips by dabbing it above your cupid’s bow. Always great to have a highlighter pencil on hand as they are easy to use and you can apply them quickly. This skinny black and white scarf can be dressed up or down by wrapping, knotting or draping it over your ensembles or can double as a headband. *Sigh* Another scarf type thingy. I think we’ve had about 3 in a row already. I appreciate that this is skinny so perhaps I’ll use it as a headband or maybe to accessorize a handbag. 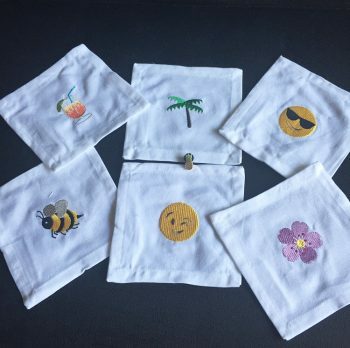 Designed with House of Pom, these exclusive cocktail cloth napkins allow you to serve up icy-cold drinks with cute emoji designs that are oh so #instagrammable. One of the better items in this box, these napkins are adorable. I’m glad they are cloth material as you can reuse the cuteness. These kettle chips are an all-American classic that will give you the old-school crunch you crave. I tried a few chips and they really weren’t anything different than Lay’s. I kind of wish they had offered different flavors instead of a plain one but well, less calories, right? I’m always happy to see a food item in a box. 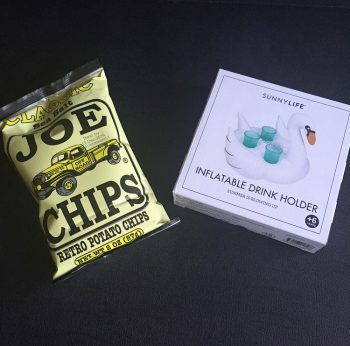 Float up to four beverages poolside with this inflatable swan so you’ll never have to leave the water. Even though you don’t have a pool this can also serve its function on any table. I don’t have a pool so I might gift this. I think it’s much better suited for the pool than a table. 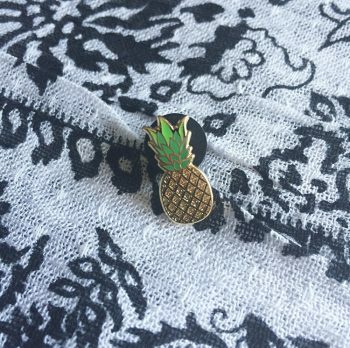 Use this pineapple pin to pin your skinny scarf into place. It’s a cute pin but I don’t see much use for it. Personally, I would have preferred the pineapple ice cub tray that was featured in the PopSugar Must Have Mini. A $20 gift card to treat ourselves to on-trend, customizable jewelry. I probably won’t redeem this because I hardly can remember to wear jewelry and everything on there is very pricey. What are your thoughts on this box? Play! 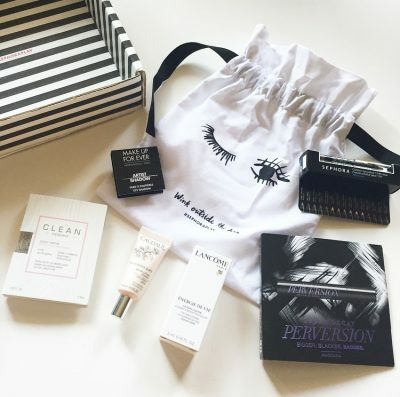 by Sephora Unboxing July 2016! Happy Tuesday everyone! How was your weekend? The July 2016 Play! by Sephora is in and I must say, I’ve really been loving these curated boxes and the cute bags they come in. 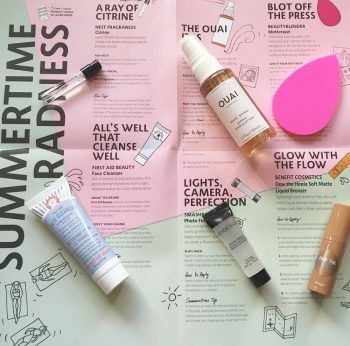 The theme for this month is Effortless Summer and I think the featured brands were spot on. Here’s the breakdown of what was included. This cleanser is rich in antioxidants and botanicals. This cleanser lathers creamy and is free of harsh chemicals, parabens, phtlates, alcohol, fragrances and artificial dyes. I’ve tried this cleanser before and it didn’t work for me. It kind of made my skin itch so while I liked that my face didn’t feel super dry afterwards, it wasn’t for me. 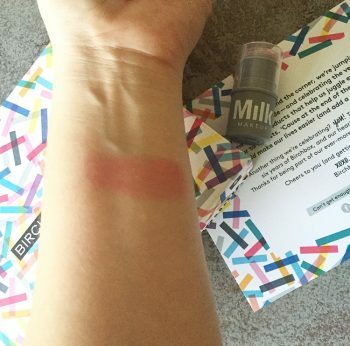 A cushion blotter that is designed to remove shine and absorb oil, you can wash and reuse this as you please and it’s great to smooth away cracks or cakey texture that makeup can form on your face. I really love the Beauty Blender so I was happy to see this one in the box. I used it once and it absorbed some of the shine but not as well as I thought. I need to use this a few more times-maybe I used it wrong? Based off of the popular Hoola Bronzer, this liquid version is lightweight and shimmer-free to create a warm radiant look. I’m a fan of the original bronzer so I’m uber happy that this one was included and I wasn’t disappointed. It’s subtle and blends out nicely that gives a very natural look. Describes as, “layers of fresh lotus flower and freesia mingle with bright citrus and a base of precious woods.” I like this fragrance but not my favorite and I wouldn’t go out of my way to purchase it as it’s not really my style. This weighless texture mist gives hair an effortless, undone look while adding volume and shine. I’m addicted to the smell of this as it leaves hair smelling soo good. Combined with other products, this does a nice job of keeping curls in place. An iconic primer for normal to dry skin that keeps helps keep makeup in place-a must for the summer! I’ve used this primer before and I like it but because I have combination skin with a tendency to be oilier in the summer, it doesn’t really provide a mattifying effect and I’m a shiny mess by the end of the day. 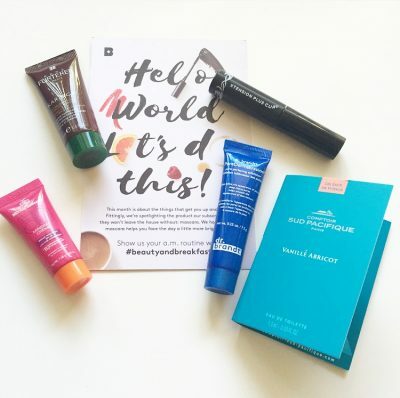 What box did you get this month? Hi everyone! Thursday is finally here and I don’t know about you, but this week felt pretty long. 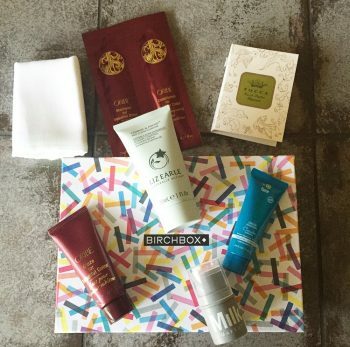 So, Birchbox arrives awhile back so if you’re interested in seeing what I got, keep reading! This sunscreen is safe for acne and rosacea-prone skin and has a silky formula that absorbs quickly without leaving a white cast or greasy sheen. I’ve tried my fair share of sunscreens and I can confidently say that this formula is unique and unlike anything I’ve ever tried. It feels almost silicone-like and it blends in very easily in the skin. No breakouts so far and I’d be inclined to purchase this in the future. A silicone-free styling cream that is said to utilize 100% natural active ingredients to combat frizz, static and dry hair. I haven’t got around to tying this one but I’ve tried something similar from this line and it was okay but not my holy grail. An exfoliator that contains, salicylic acid to unclog pores, caviar lime to brighten and lentil seed to strengthen and tighten pore walls. I’ve been curious to try this product for a good minute and I was excited to see this in my box. It’s a cream-like exfoliator that has tiny abrasive particles to scrub away dead skin cells. While I didn’t see a a huge difference in my pore size, my face definitely felt and looked smoother. Describes as. “a hypoallergenic mascara that curls even the tiniest of lashes for a doe-eyed look,” I really ended up liking this mascara. It didn’t seem to irritate my eyes and I noticed that it fanned out my lashes in a nice and natural way. I will definitely continue to try this one out. A best selling fragrance, this combines a tropical blend of Tahitian vanilla, jackfruit, and apricot. One of the first fragrance samples that I’ve actually liked from Birchbox. This fragrance is on the sweet side but I feel you can layer it under other fragrances to balance them out. I wouldn’t mind wearing this on its own but I’ll be testing this with my Jo Malone fragrances I have and see how that works. Overall, I thought this box was good. Unfortunately, this may be my last box as I’ve accumulated a lot of samples that I feel like I may need to take a break for a while. What did you think of this box? 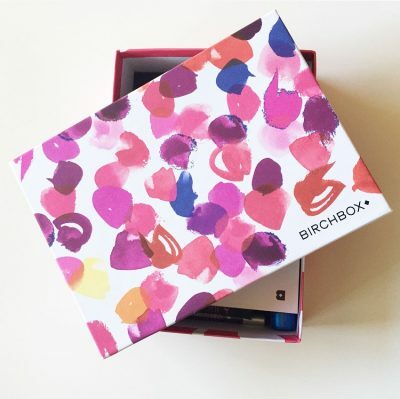 Are you looking give Birchbox a try or are you thinking of cancelling?